I am designer and cofounder of this nice project, still in development. 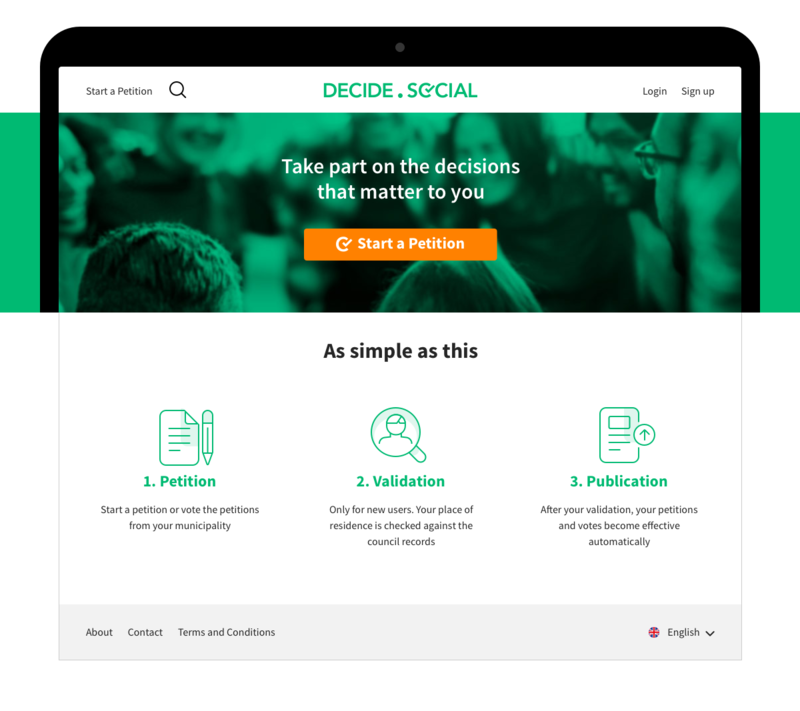 The website facilitates the participation on decisions in a city through petitions. In this case the design puts the attention on the content and arranges an easy checkout for the petitions. The color scheme guide the user on this process, in this way the call to actions are highlighted with a strong accent color and an ubiquitous green colour maintains the consistency throughout the website. Do you need help from an expert designer? Write me an email!